Climate Control: Two systems, one place! Your vehicles air condition and heater (climate control) are connected in the same housing but are totally different in operation and function. One keeps you cold, while the other keeps you warm! There are various parts in the heating system, that all function differently to create heat within your vehicle. How does my heater work you ask? Great question! The heater system in your vehicle is designed to keep you warm when the temperatures outside are cool, wet or windy! The heat that is created by the engine operation builds up and needs somewhere to go. There is a component in the heating system that is called the heater core. The heater core is where the hot engine fluid (referred to ironically as coolant) flows in and out of the core and then an electric fan blows air through the core distributing this heat into the cabin of the vehicle through the vents which are operated by the people in the vehicle. In order for the heater to operate properly, the cooling system being in good operating condition is crucial. Since the engine cooling system is directly linked to the heating system, if your heating system is not working properly it is important to have it checked out. It’s possible that your engine cooling system may not be working properly either and an overheated engine can result in serious engine damage. 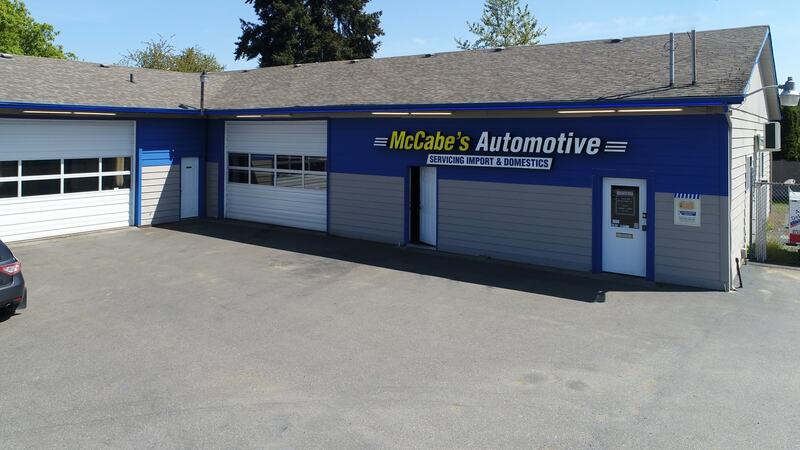 Here at McCabe’s we inspect the condition of your coolant and cooling system at every lube, oil and filter change, along with every 30k, 60k, 90k or 120k. Not sure when your vehicles cooling system was last inspected? Give us a call today to schedule your appointment with one of our specialists or request an appointment through our online booking! Give us a call today to schedule your appointment with one of our specialists!